To deliver SFO’s Boarding Area B, HKS became fully immersed in the airport’s paradigm for Exceptional Project Outcomes (EOP) which encompassed all project aspects with a focused passion on design, project management, construction, economics, business and sustainability. All joint venture partners committed to a multi-year collaboration in the ‘Big Room’ with the architects, Design-Build teams, core trades, program managers and airport leadership and staff. 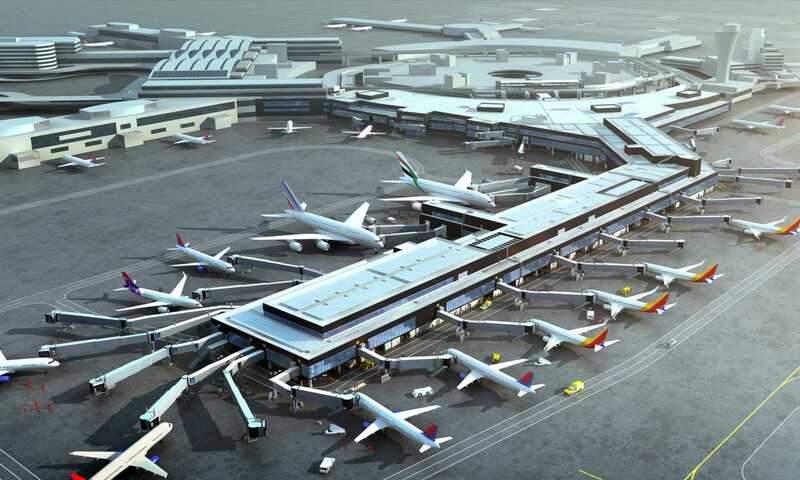 Key design challenges included defining the program and footprint for the new boarding area while keeping the existing terminal and airfield operational with minimal disruption; delivering a new level of service and standards; incorporating the latest technology, industry trends and aviation processing to future-proof the facility; and fulfilling the airport’s ambitious sustainable and healthy building outcome goals. Focusing on the passenger experience, the design creates a calm and curated journey: a generous central concourse features intuitive wayfinding, advanced acoustics and lighting, art galleries, comfortable furnishings and plentiful amenities and food halls offering Bay Area fare. Radiant heating and cooling, dynamic glazing and 5-filter carbon air filtration systems create a comfortable ambience while meeting SFO’s healthy building and sustainability goals. The project design evokes a ‘Bay Area Naturalism’ theme supported by natural materials and colors that underscore the region’s environment. New technologies, improved functionality and operations were key design drivers. 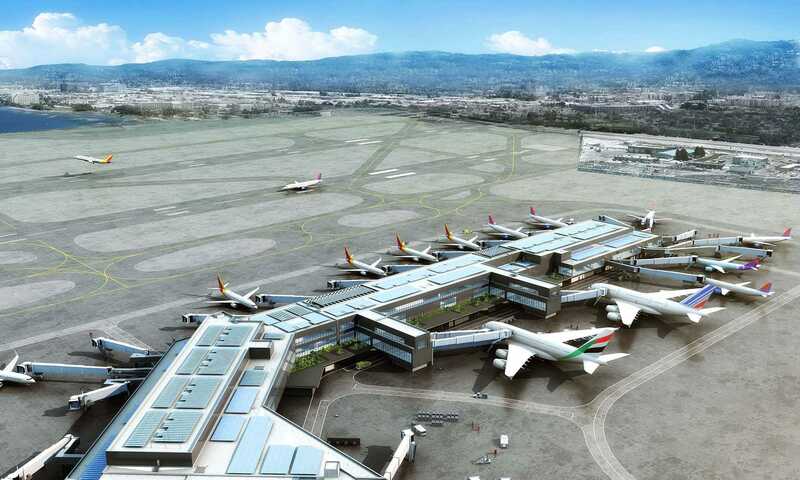 This project initiates SFO’s vision – incorporating next generation building systems, aviation trends and setting innovation standards – for the entire airport. Despite the complexities of upgrading to new systems, SFO will reap long-term benefits of operating common use gates, building management systems, North America’s first ICS baggage handling system and all-electric shared-use ramp service vehicles. SFO’s Boarding Area B embodies future-forward design, creating a positive passenger experience unique to San Francisco while providing efficient, smart and sustainable facilities for the airlines and SFO alike. SFO has achieved some notable “firsts,” including operating the first ICS baggage handling system in North America. It is the first common use terminal at SFO and provides the first gender neutral restroom facilities at the airport. The project will achieve USGBC LEED Gold certification, and it has LEED Platinum-ready and Net Zero energy-ready installations in place. The project will also achieve a 50% Energy Use Intensity (EUI) reduction. HKS delivered this complex and multifaceted project on-time and on-budget.